Analog Artist Digital World: Artists sketch at the Orlando Skeleton Museum. 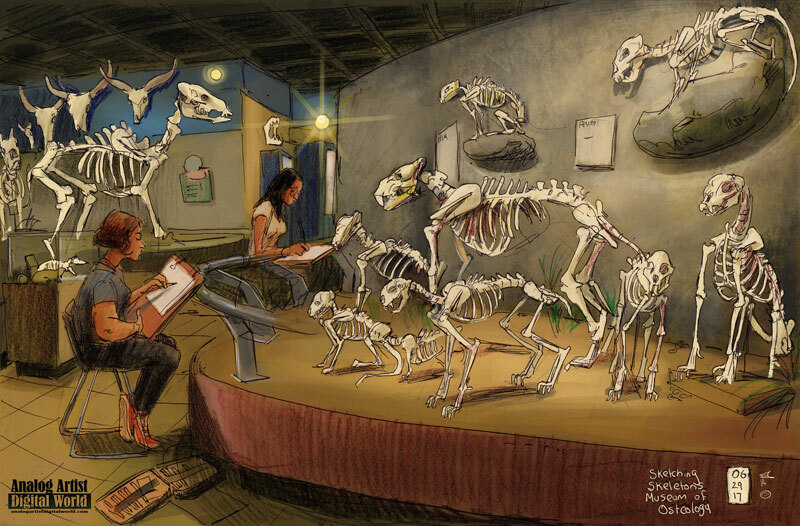 Artists gathered at the Museum Of Osteology (near the Orlando Eye, 8441 International Drive Suite 250 Orlando, FL 32819) from 5:30 to 10:30 pm to sketch skeletons. Using the skeletons collection of over 500 REAL skeletons as inspiration, they spent time exploring new skills or perfecting figure drawing in the museum. 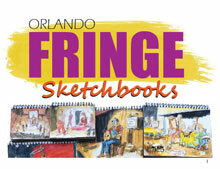 Event sponsor, Sam Flax of Orlando, provided sketching materials that artists could experiment with, but all artists were encouraged to bring your own pens, pencils, and sketchpads. For this, the second installment of Sketching with Skeletons, the museum extended the event by two hours to allow for more sketching time! Tickets were offered at a discounted price of $12.00. If you brought a valid student or teacher/educator ID, there was an extra discounted price of $10.00. My plan was to work digitally on my iPad but when Pam Schwartz and I arrived at the Orlando Eye parking lot, I suddenly realized that I hadn't brought my art supply bag! That has never happened to me. Well, the event said that there were some supplies on hand, so, I decided to go regardless and make do with the materials provided. Sure enough, each artist was given a clip board along with several sheets of 11 by 17 inch paper and bulldog clips. I did have pencils in my pocket and around the venue there were some boxes full of colored pencils. After walking quickly around the museum, I settled on this view of two artists sketching the big cat skeletons. I quickly penciled in the composition and then Pam found me a ball point pen to finish the line work. 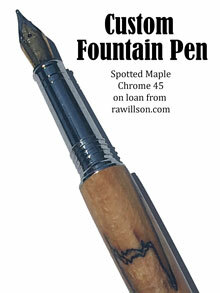 I actually liked the ball point pen and might work it into my everyday supplies. Coral Dixon, the museum marketing associate introduced herself to me. She is heading off to college soon to study to be a museum curator. 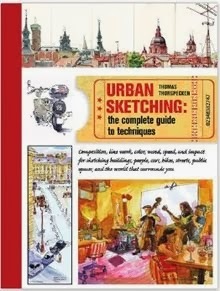 I was very pleased and surprised with how many artists were on hand to sketch. Coral is clearly doing a great job marketing the event. She contacted all the local tattoo shops, which quite frankly is a stroke of genius. 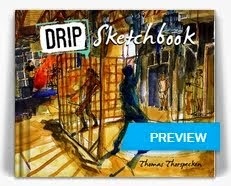 Once the sketch was done, I walked around the exhibit with Pam to catch the highlights. A skeletal dog still had his collar on, and a raccoon skeleton was rummaging through a box of Milk Duds. The sea otter was lounging with his paws neatly tucked behind his head. Former Disney animation artist Woody Woodman was there with his wife, and we got to catch up briefly. Museum founder and owner, Jay Villemarette and Samantha Tutor introduced themselves and Jay gave Pam and I a personal tour. Since Pam is a curator, she had an amazing conversation about the care of the museum which is just 2 years old. Jay was proud to introduce us to the two glass cases of flesh eating beetles. The spongy cotton bottom of the case was swarming with beetles covering several small animal skulls. Jay went back stage and added some water to the tanks which sent the beetles into a real frenzy. They become most active when moisture is added. I started to itch. I was highly impressed with the event and the museum in general. Orlando is lucky to have the world's top collector and distributor of skeletons right here in town. Jay pointed out that no animal was ever killed for the collection but that each animal died of natural causes. Sea World handlers sometimes return to the museum to pay their respects to the animals once in their care. Humans also donate their skeletons to the collection. Jay is often asked during interviews if he would want his skeleton donated someday. He gives the answer that the interviewer wants, but honestly he doesn't care what becomes of his skeleton. 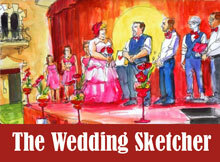 I am hoping that these sketching events continue. The first one was highly attended with over 75 artists, but the attendance dropped for this second edition to maybe 25 to 30 artists. 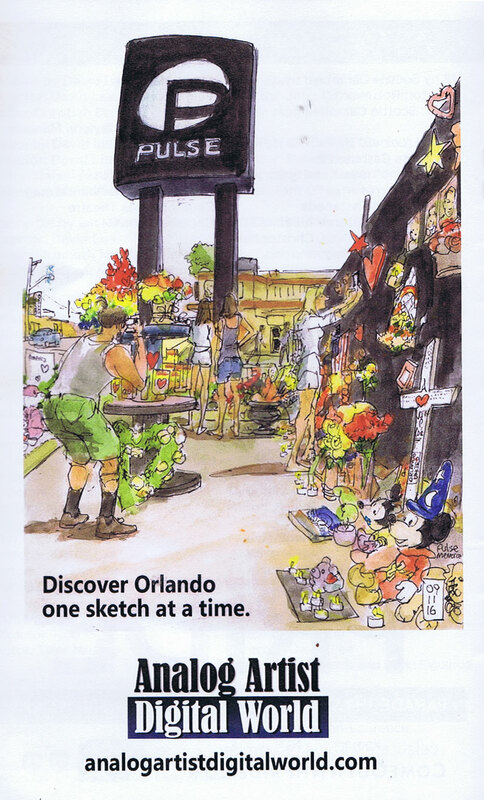 I hope to introduce the Orlando Urban Sketchers to the venue when I host the Orlando 10 x 10 workshops starting in August.